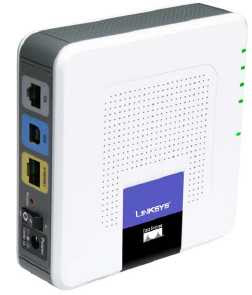 So after many months of slow internet and trying everything possible and loging calls with the ISP it finally turned out that my relatively new Linksys AG241 ADSL router was buggy, TO the point that it finally gave up to ghost and lost all connectivity to the ethernet ports. It wold sometimes connect then other times it wouldn't. Once I had this happen it was time to go get another ADSL router. I didnt even do a great deal of research this time. I just wanted a basic ADSL router that worked. I ended up getting a AM300, which is a good match to the WRT54GL router that I now have doing the donkey work on the home network. The AM300 is a fairly basic ADSL router, but as soon as i plugged it in I was getting 6.5Mbps again. So now I can actually use YouTube again.